If dicing small makes it easier (and quicker) to cook, slicing thin also achieves the same. 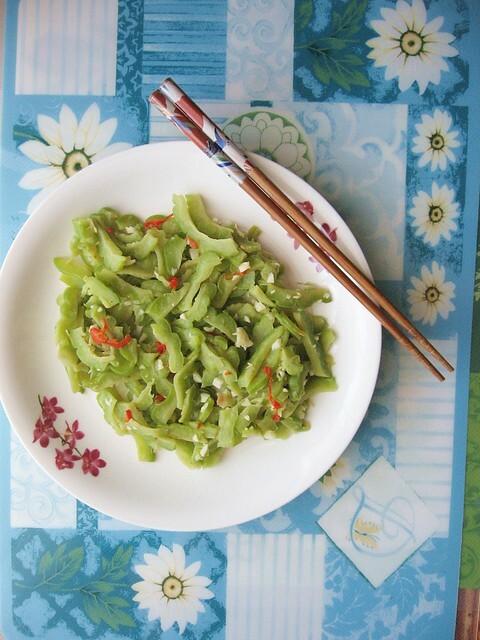 A lot of bittermelon dishes uses rich or heavy seasoning (e.g. 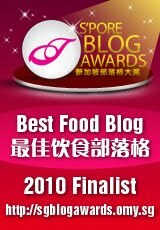 fermented soy- or black beans), or flavoring (e.g. salted egg, tomatoes, spices) in order to mask the bittermelon's bitterness. These dishes are delicious and I enjoy them, as the saltiness perfectly balances the bitterness of this vegetable. 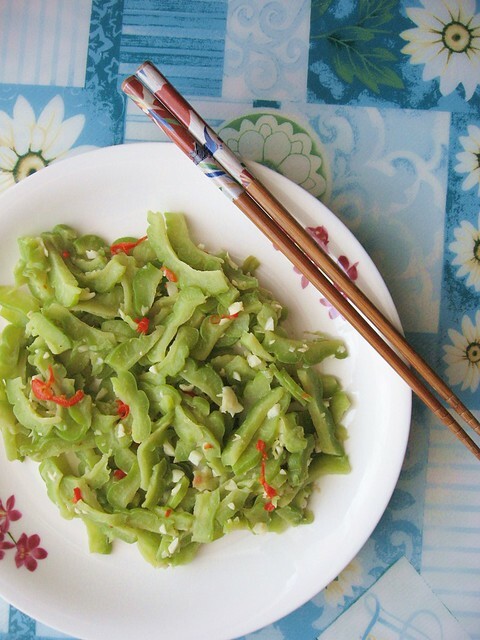 However, there are also lighter-seasoned bittermelon dish such as bittermelon salad and garlic bittermelon stir-fry. Yes, the name says it all garlic and bittermelon and perhaps if you prefer to spice it up, add in some sliced chili. Directions: In a heated oiled pan, fry the garlic, and chili, then add the bittermelon and fry till tender and cooked. As the bittermelon was sliced really thin, it took a short time, about 15-20 mins, for the bittermelon to be cooked.